OESF have provided the examination for Android(TM) Engineers (OESF Authorized Certification Engineer for Android) to prove the engineers’ technical capability and certify their ability. 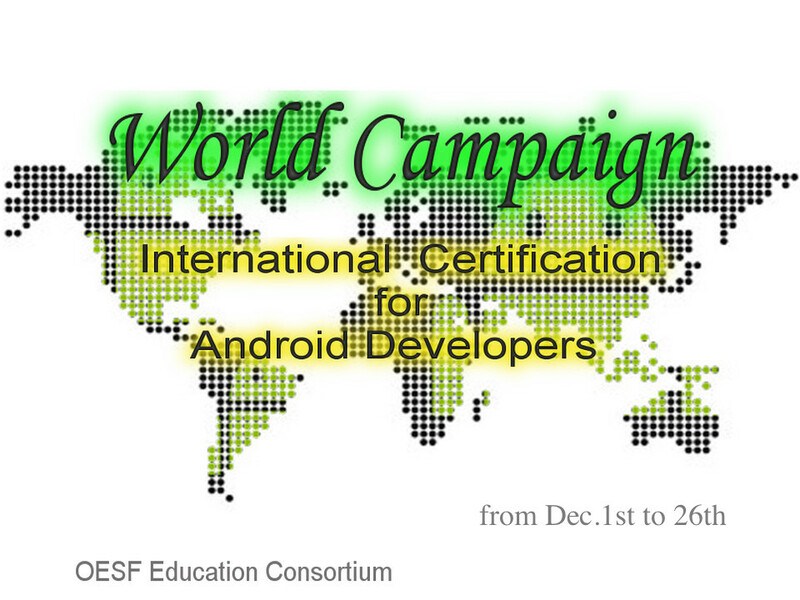 For now, engineers from 25 nations have taken the examination, and we carry out “Be an Android Expert in 2014” campaign to promote this certification more worldwide. During the period of this campaign, we present 50% discount examination vouchers. We will offer this voucher to the first 50 people. If you would like to get the free voucher and try to take this exam, please join our campaign. 1. Please “Like” and share our post on our official Facebook site, and add the words “OESF Authorized Certification Engineer for Android(TM)”. Please let your friends know the information about the examination. So cool! I will also become an Android Expert! 2. OESF Office will send you a mail through Facebook mail function. Please let us know your Email address to send the voucher code. 3. OESF will send a discount voucher* (Voucher Number:) to your email. 4. Please make the reservation through the Prometric reservation site. * The discount voucher can be used at Prometric test centers worldwide. * This campaign can be applied only once for one person.